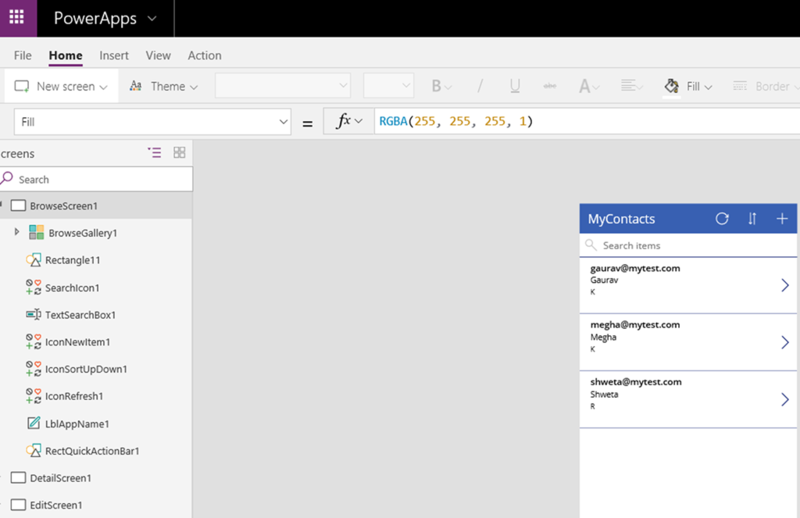 PowerApps can be created using data from an Excel spreadsheet. 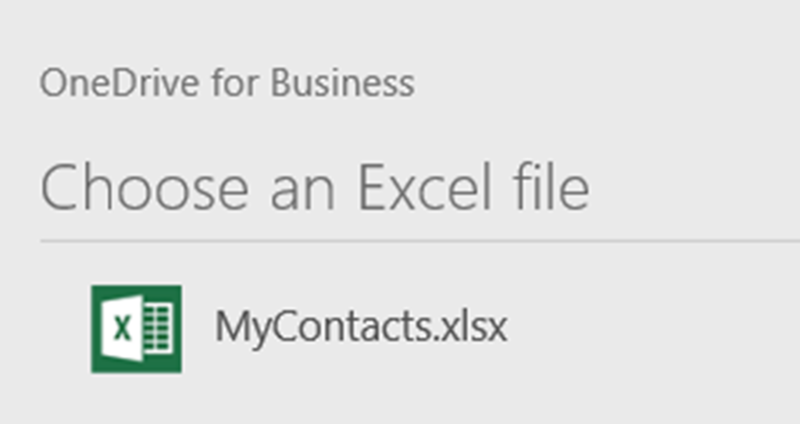 Users can create their tables in Excel and upload it to OneDrive. 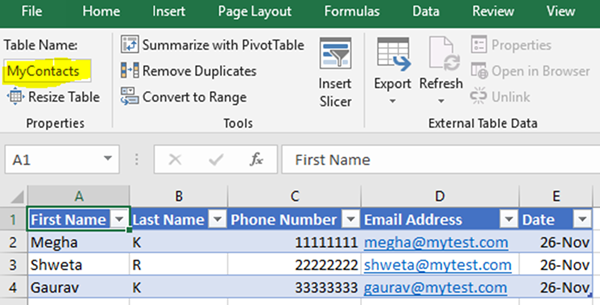 In this blog, we will learn – how to create a PowerApp using Data from Excel. Open a worksheet in Excel and insert a table to it. 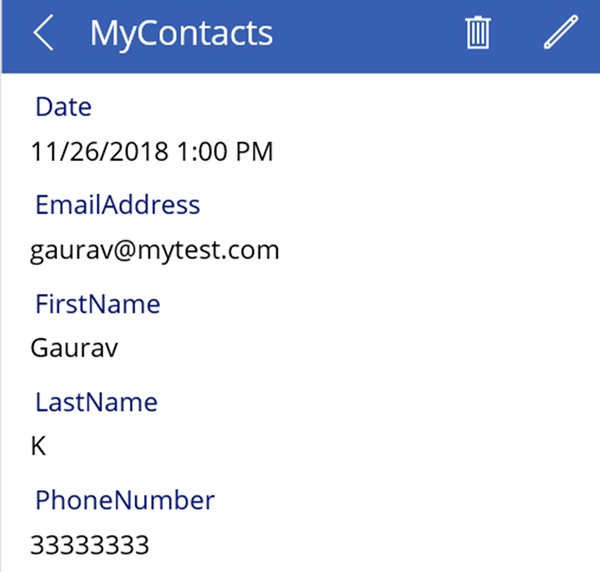 Add some data such as First Name, Last Name, Phone Number, Email Address, Date etc. 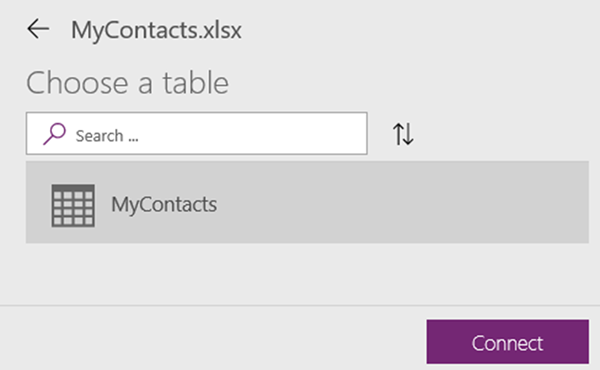 Give a name to your table. 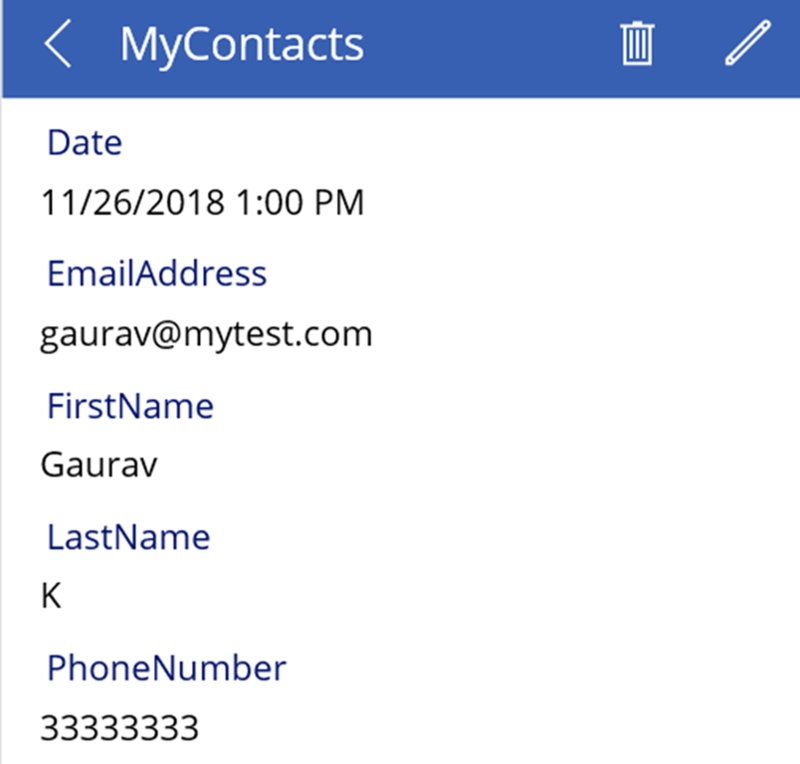 For this example, I have created a table with only 3 rows and my table name is MyContacts. Save it in your OneDrive account and close your worksheet. 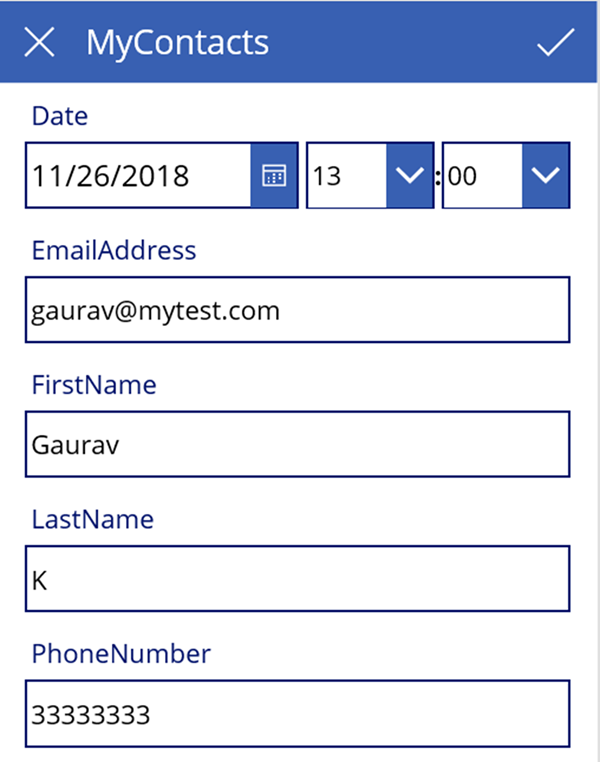 Sign in to Power apps. Once your signed in, Click on Apps> Create an App> Select Canvas App. 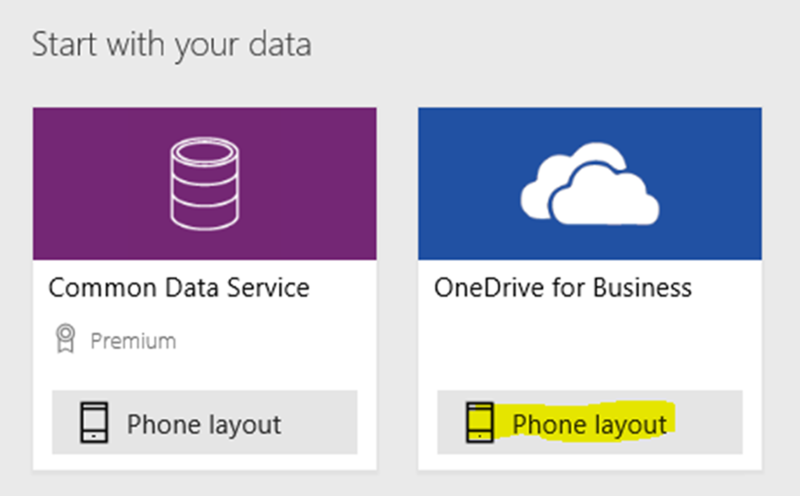 Click on Phone Layout button under OneDrive for Business. 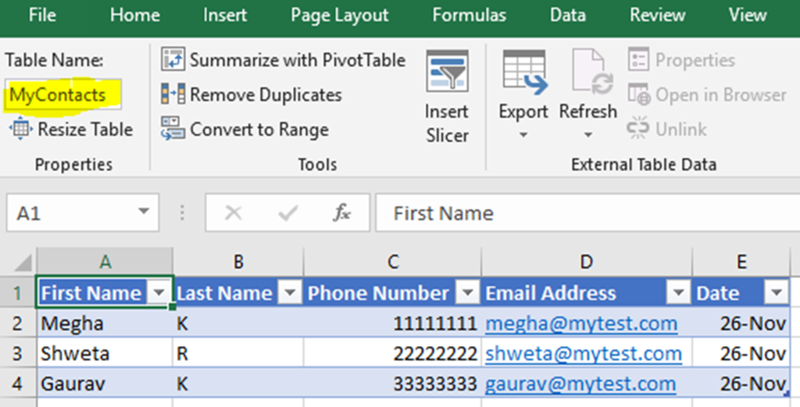 A multi-screen functional app will get created from the data in Excel table. There will be 3 screens – one screen to Browse data, another one to view Detailed screen and a screen for edit or create data. 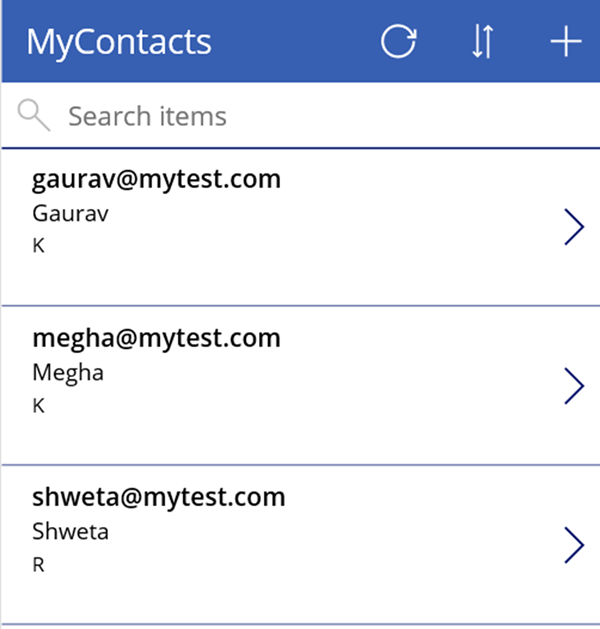 Click on the Play/Preview button at the top to check the functionality of your app. 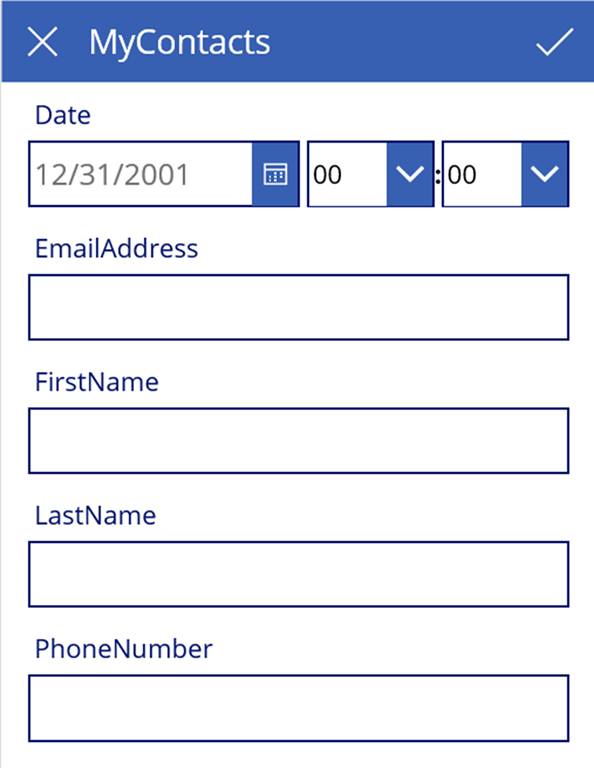 Once you are done, you can save your App. To Save, Click on File> Click on Save> Give a name to your app> Click Save.